I am not afraid of an economic collapse. Coming from someone that runs “The Economic Collapse Blog”, I am sure that sounds like a very odd statement. But it is true. I have no fear of economic collapse, even though I am fully convinced that the hardest times that any of us have ever experienced are ahead. I spend countless numbers of hours in front of my computer immersed in deeply disturbing information, and yet I sleep more soundly at night than I ever have before. In fact, my wife and I seek to live in a constant state of “shalom”, which is the Hebrew word for peace. So how is this possible? How can “the economic collapse guy” not be absolutely overwhelmed by fear, depression and paranoia? Unlike so many that write about these things, I believe that preparation for what is ahead goes far beyond the physical. So I am constantly stressing the need for mental, emotional and especially spiritual preparation. Personally, I have absolutely no idea how atheists are going to make it through what is coming. They don’t understand why they are here, they don’t understand why history is unfolding the way that it is, and they have absolutely no hope for the future beyond this life. If you greatly fear death and you can’t stand to lose the possessions that you have accumulated, the years ahead are going to be exceedingly difficult for you. My relationship with the Lord Jesus Christ gives my life meaning and purpose. He took the broken pieces of my life and turned them into a beautiful thing, and He can do the same for you. I also strongly advocate physical preparation for the hard years that are coming. My wife and I work very hard to store up food and supplies. The funny thing is that there are Christians out there that actually accuse me of being “anti-faith” for doing these things. Apparently they believe that we should all just sit around watching television while we wait for God to do everything for us. But that isn’t how it works. In the Bible, we see that exercising faith almost always involves action. Noah, Joseph and others acted in faith based on the warnings that they had received, and they were commended for it. 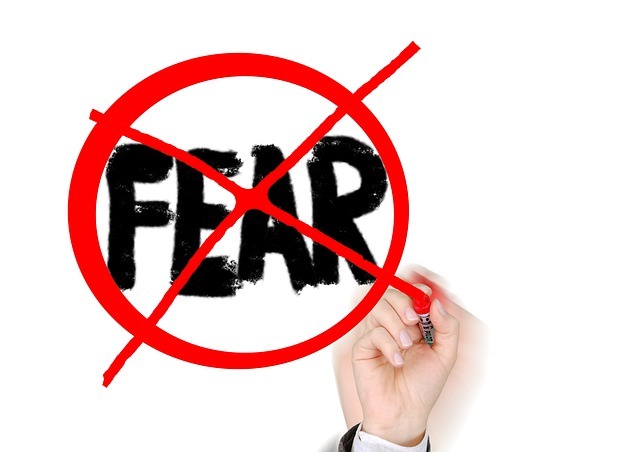 Knowledge and preparation help to eliminate fear. If you understand what is happening, and you know why it is happening, and you have prepared for what is happening, it makes the challenges that are ahead of you easier to tackle. When you were in school, who got the most freaked out by quizzes and tests? It was those that were not prepared for them of course. In the years ahead, a lot of people are going to be jumping off of buildings, jumping in front of trains, etc. Others will plunge into a dark hole of depression and despair that they will never come back from. The vast majority of those people will have never listened to the warnings and will have done nothing to get prepared. Those that accuse me and others like me of “spreading fear” have got it completely backwards. We are not “spreading fear” at all. We are spreading hope. There is hope in understanding what is happening and there is hope in getting prepared. The preparations that are being made right now all over the nation are going to save countless numbers of lives. Those that are mocking preppers and that are telling everyone that everything is going to be just fine are going to deeply regret doing so someday. Although I will admit that sometimes preppers are prone to a “bunker mentality”, and that is not the right approach. Now is not the time to dig a hole and try to hide from the world. You were born for such a time as this. It is when times are the darkest that the greatest heroes are needed. Personally, my wife and I believe that the greatest move of God the world has ever seen is coming, and we very much want to be part of it. Yes, the years ahead are going to be extremely challenging. In fact, I don’t think that any of us can truly grasp the horror that is coming because we don’t really have any frame of reference for it. It is kind of like trying to explain to someone that was blind from birth what a tree looks like. You can spend hours describing the tree, but unless you have some sort of frame of reference, the understanding simply is not going to be there. Sometimes I try to sit down and write about what is ahead of us, but I find that words fail me. For example, I recently did a piece entitled “The Last Days Of Normal Life In America” that was very popular, but the truth is that it was woefully inadequate because I don’t really have a good frame of reference for what we are about to face. I don’t know that too many people out there actually do. As “watchmen on the wall”, those of us that are trying to warn this nation are just trying to do the best that we can with what we have. And we aren’t just sitting behind our computers “cursing the darkness” either. A few of my fellow “watchmen” have joined with me to try to do something special. Nathan Leal, Benjamin Baruch, Lyn Leahz and I have organized a nationwide call to prayer and repentance on the weekend of September 18th to September 20th. It is going to be held at the Sandpoint Events Center in Sandpoint, Idaho, and we already know of people coming in from nine different states and Canada for this event. In addition, similar gatherings are being organized all around the nation, and thousands that cannot attend an event in person are going to be able to participate by watching the livestream on Lyn Leahz’s 69,000 subscriber YouTube channel. In the end, there is a limit to what each one of us can do individually, but if we work together we can collectively make a great difference. Now is not a time for fear. Perfect love casts out fear. This is a time for the Remnant to rise up and to spread a message of hope even in the midst of all the chaos and darkness that is coming. Yes, the times ahead are going to be more chaotic that any of us could probably imagine right now. But let us reject all fear, depression and despair, and let us endeavor to become people of great faith, great hope and great love.